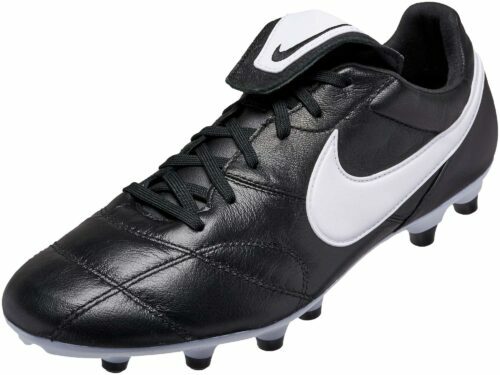 Little things can change the trajectory of a soccer game. 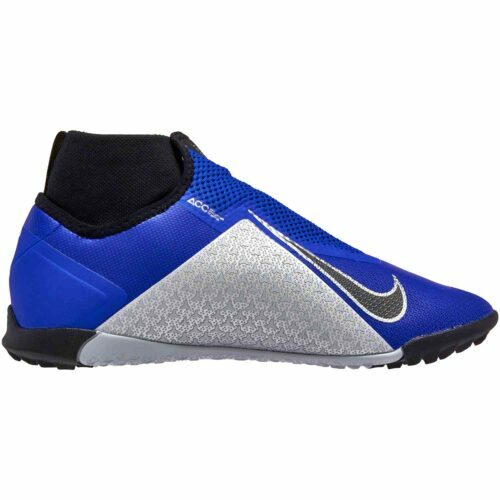 Having shoes that give you the ultimate reactions on the turf is very important because of that! 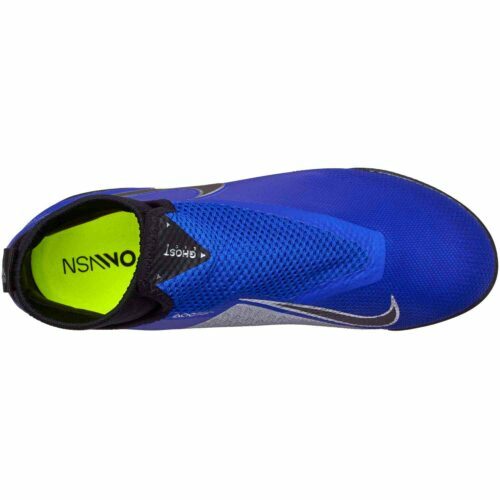 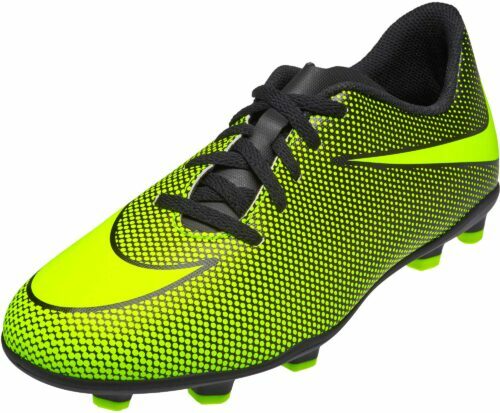 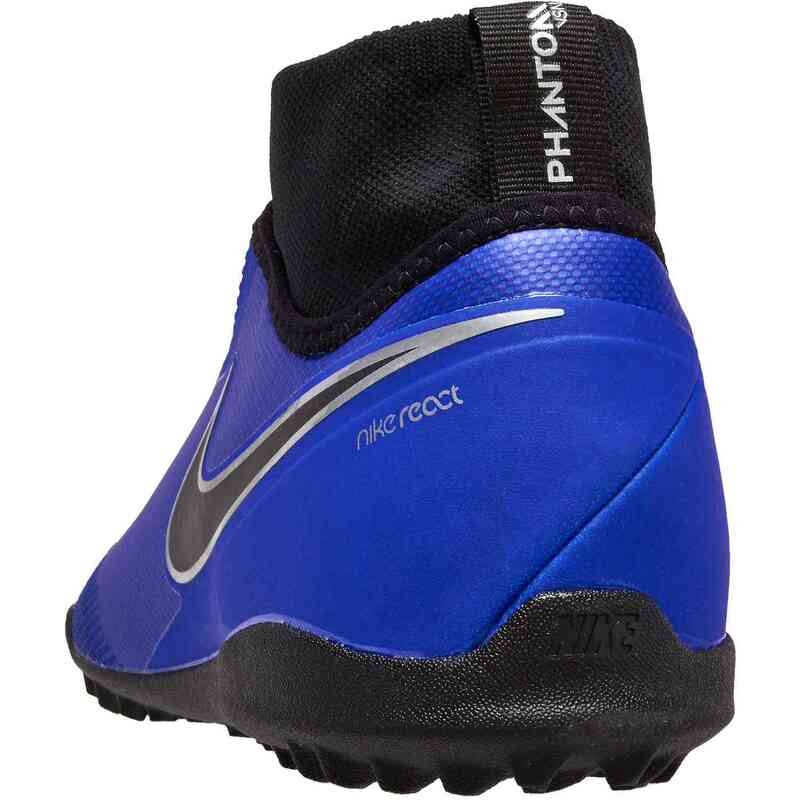 The Racer Blue Nike PhantomVSN Pro Turf Soccer Shoes are evidently one of the best shoes in the world. 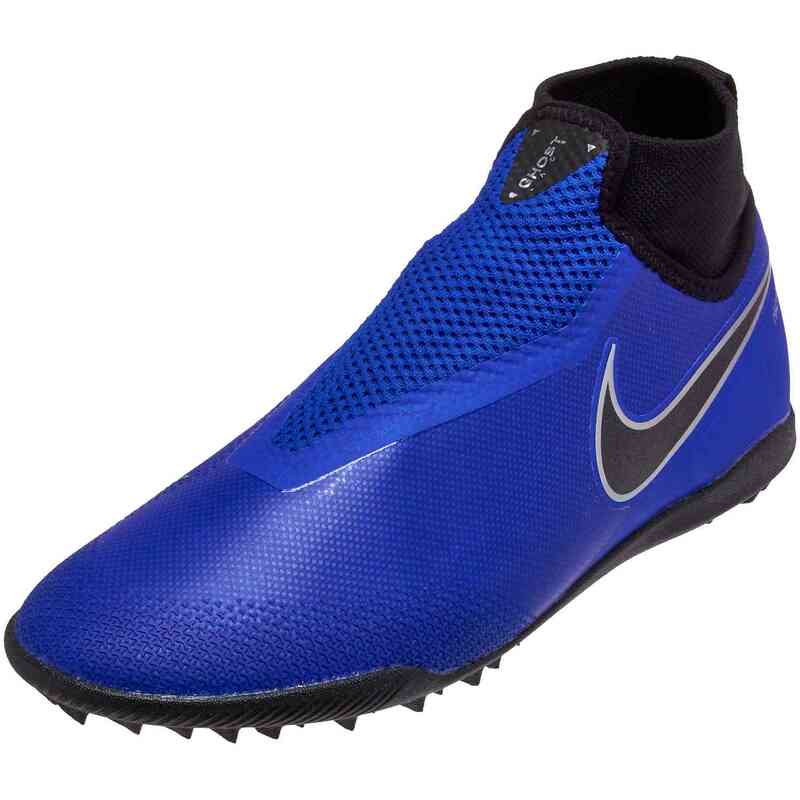 Seriously, there're many turf shoes that bring different qualities to the game but these ones put many things together to give you the perfect shoe for turf! The next evolution of Nike's soccer shoes, the Phantom Vision certainly has a striking profile. 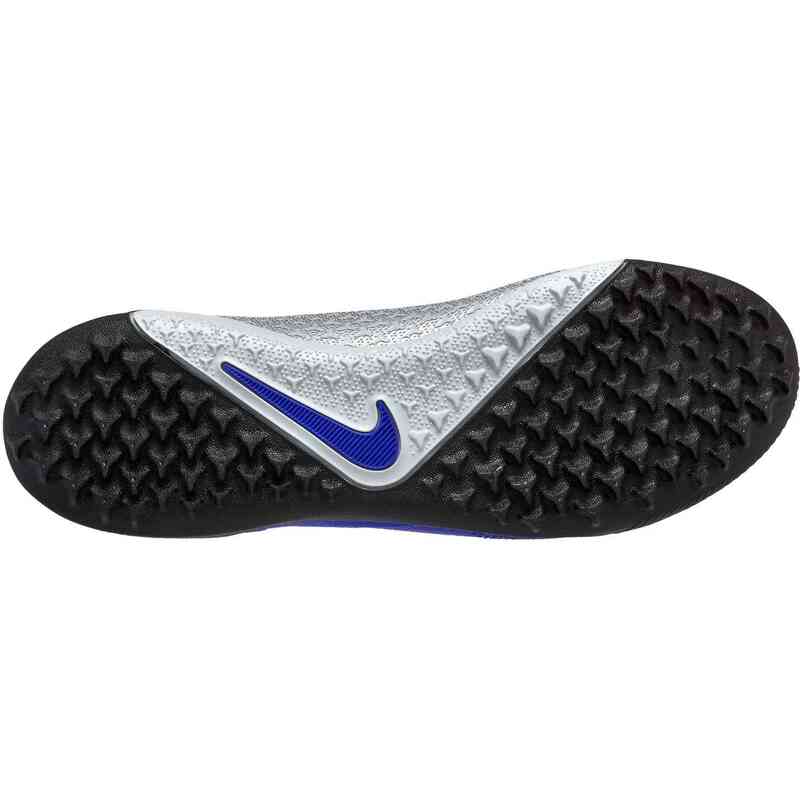 The ghost lace system is apparent immediately and covers your laces in order to keep your touch on the ball pure. 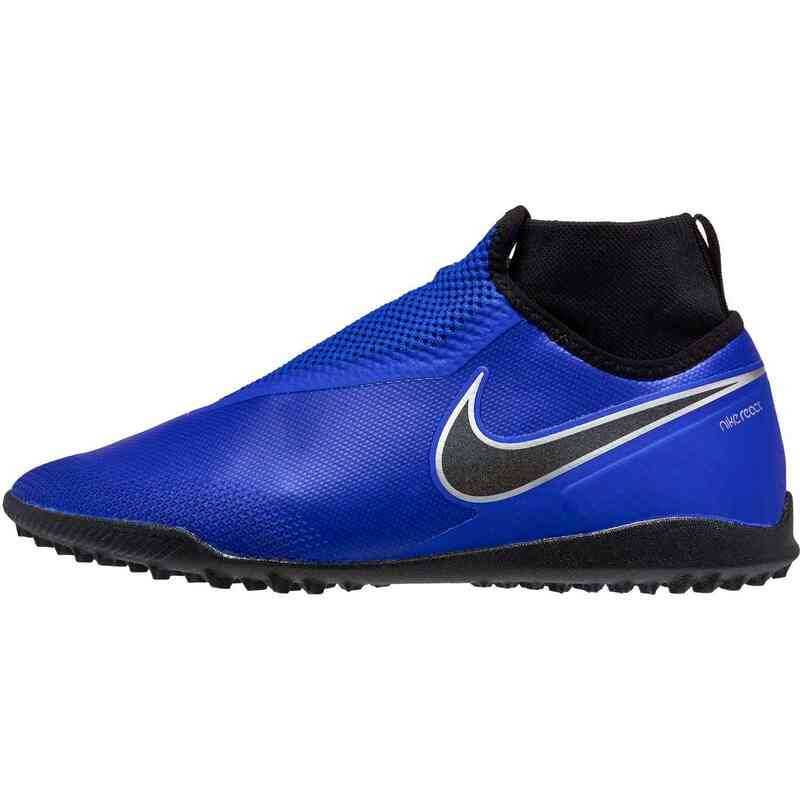 Nike All Conditions Control (ACC) technology allows the boot's surface to maintain the same level of friction, touch and control on the ball in wet and dry conditions. 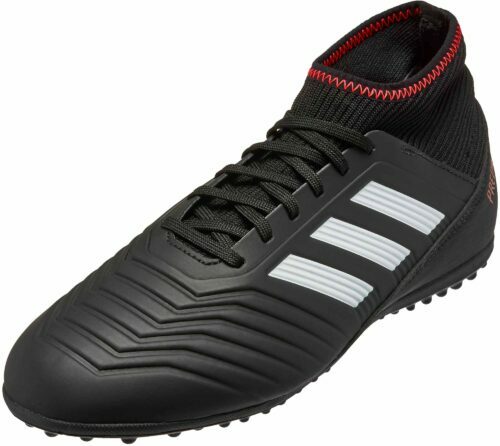 There are so many more features that give these boots the full 'game' to make you perform at your best so buy these shoes from SoccerPro today!